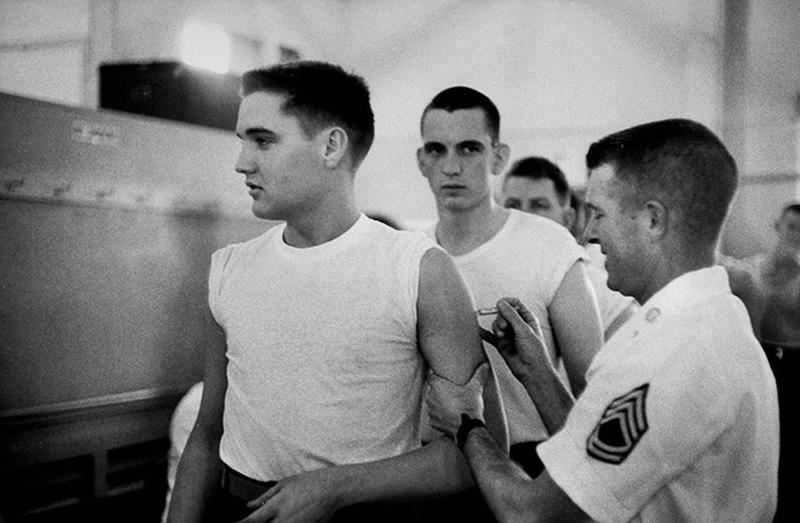 From March 1958 to March 1960, Elvis Presley served the U.S. Army as a regular soldier. He was already a very popular entertainment figure at the time of his draft. 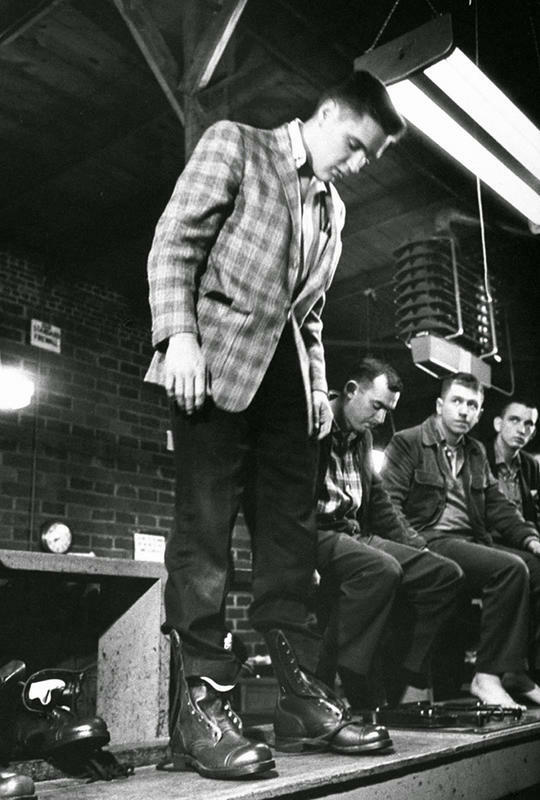 His decision to serve as a regular soldier, despite offers to enlist him in Special Services to entertain the troops and live in priority housing, has earned him the respect of many of his fellow soldiers and the people back home who had previously viewed him in a negative light because of his sexually-charged performances and bold rock and roll music. Wearing only underwear, U.S. Army Pvt. Elvis Presley (third left) raises his arms along with several other inductees, Fort Chaffee, Ark. 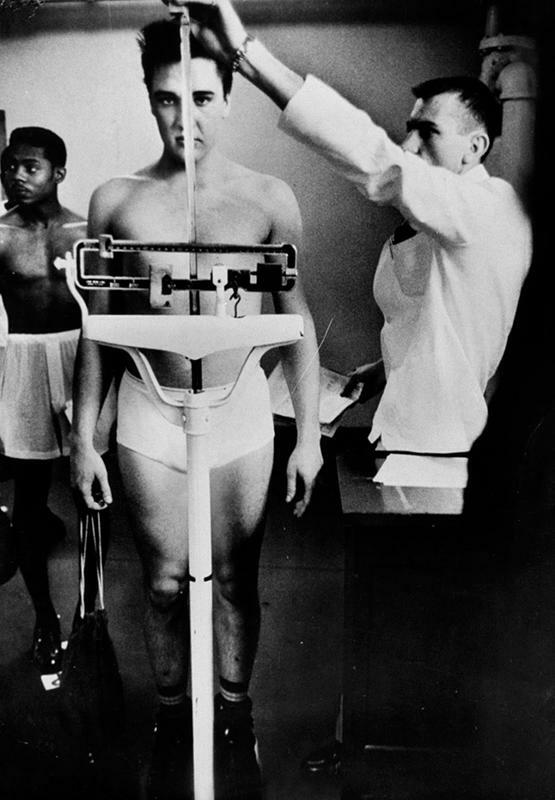 Elvis Presley measures in at 6 feet 1/2 inch during the pre-induction physical examination, Kennedy Veterans Hospital, Memphis. 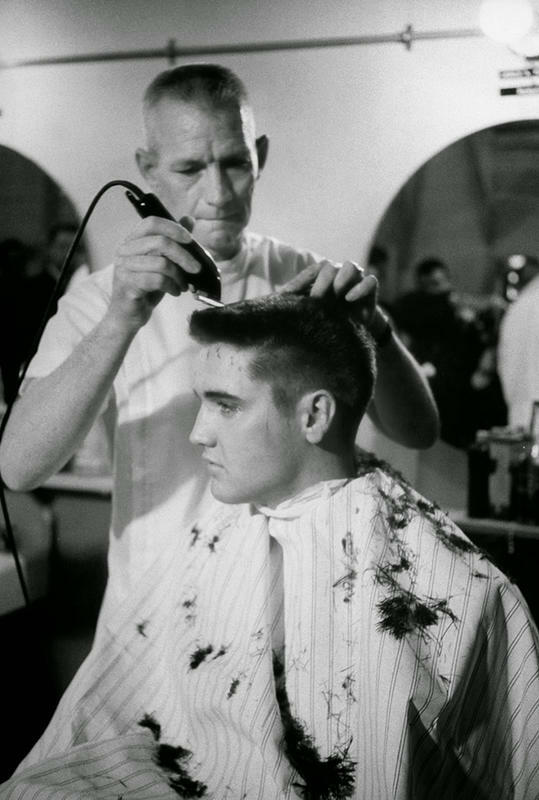 Army barber James Peterson giving Elvis a cut at Fort Chaffee reception center. 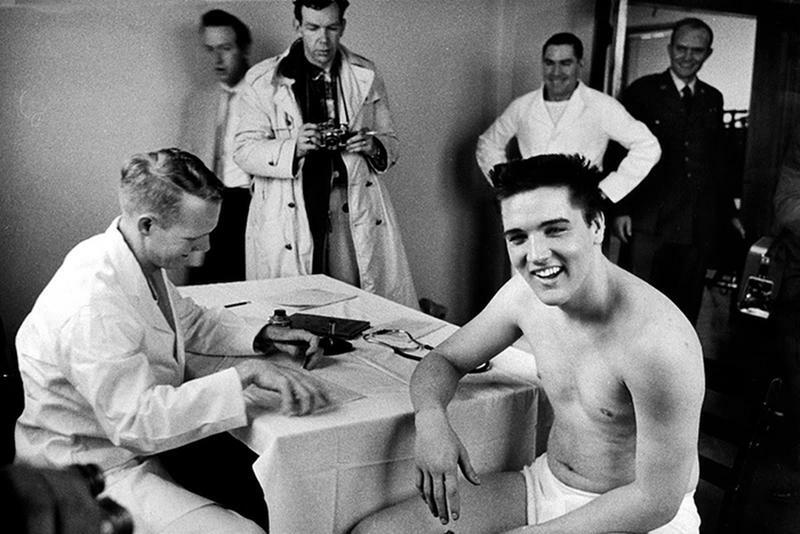 Elvis getting a shot from an Army doctor during the pre-induction physical at Kennedy Veterans Hospital. 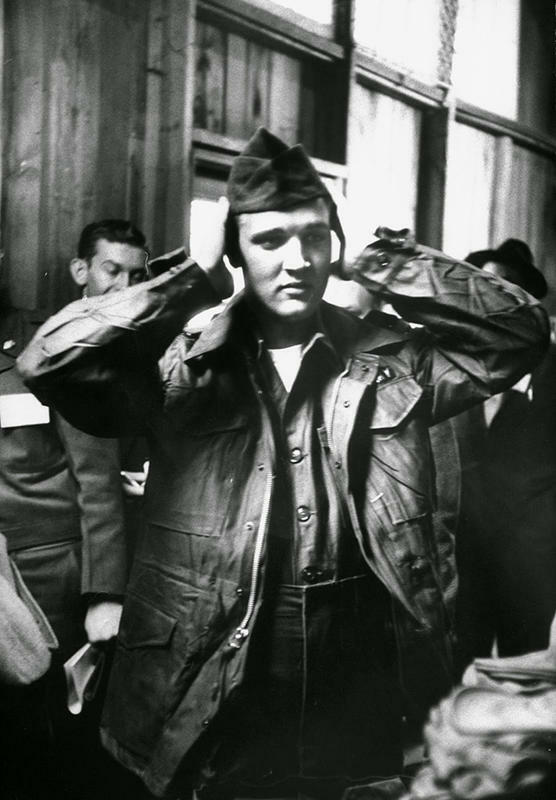 Elvis Presley in newly issued Army fatigues & jacket. 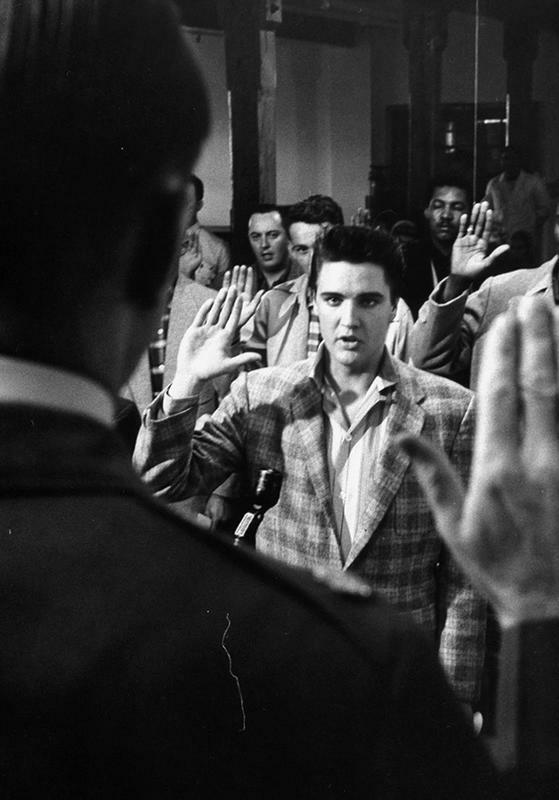 Elvis is sworn into the U. S. Army by Maj. Elbert Turner. 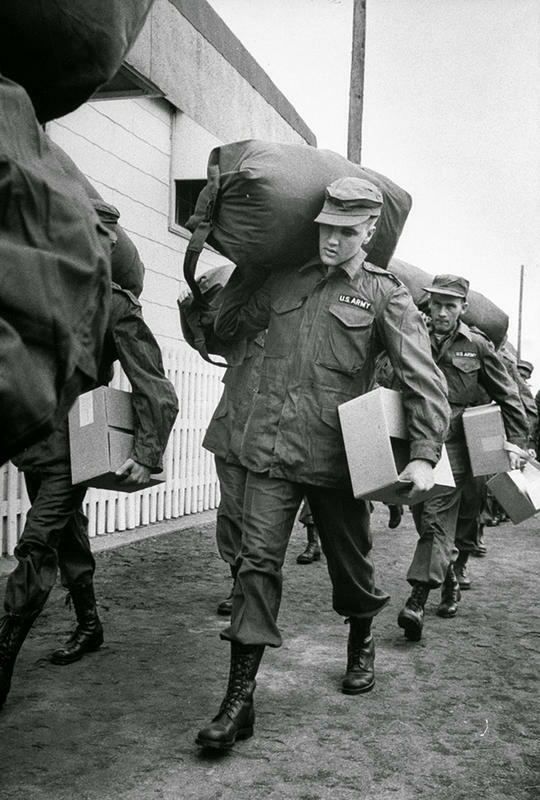 Private Elvis Presley heads for the barracks. 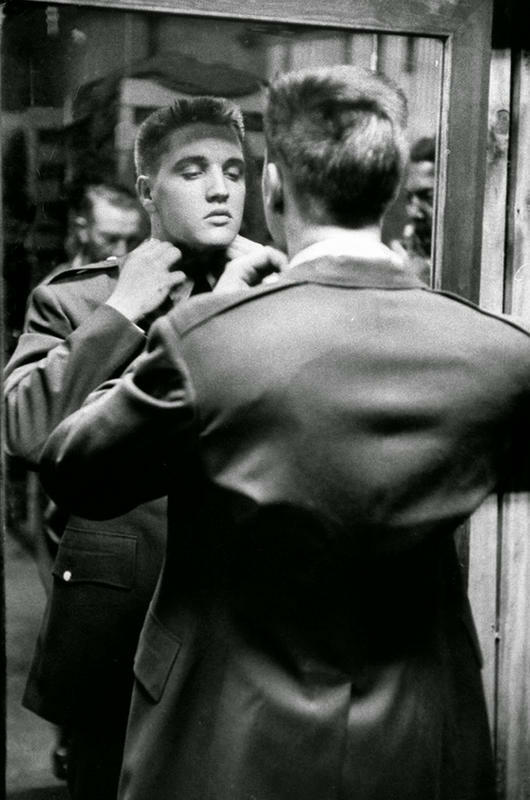 Elvis adjusts his new uniform after his induction at Fort Chaffee.